Note: Red Beryl is not listed in our database for this locality. This specimen may be misidentified or the mindat list of rocks and minerals at this locality may be incomplete. 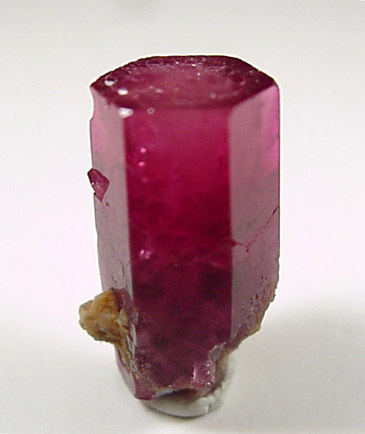 Single crystal of red beryl (variety bixbite) without matrix. These crystals only occur at one location in the world. Minor damage on a rear corner. Overall size of mineral specimen: 12x6x5 mm. Size of individual crystals: 10 mm.